Good news for all Ritchie Blackmore fans. The high output level of his treble-booster often causes problems with the following modulation-unit, especially with the echo-unit that is necessary and important for the real post 74' Blackmore sound. BSM solved this problem with the brandnew RB box (aka Ritchie's box ?!? 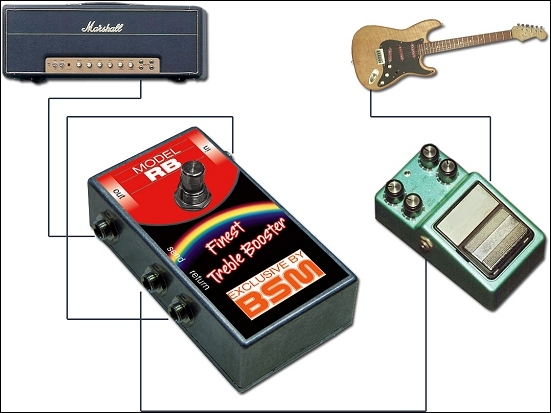 ), a pure passive looper with two special line-transformers. In the first step the input level is lowered to approx. 50% to have the standard level for overdrive-free processing in other effects. In the second step the signal is pushed up again to 100% in the Return-Section up to the original output-level. With this tricky thing it's also possible to combine todays modelling-effects and old-style treble-boosters! The RB box works absolutely passive while the top-notch transformers will add those analog flair of Ritchies AIWA to all digital echo- and delay machines (recommended: Boss DD-3). With some tricky backward-wiring you can also use the transformers to push any connected stompbox (eg. 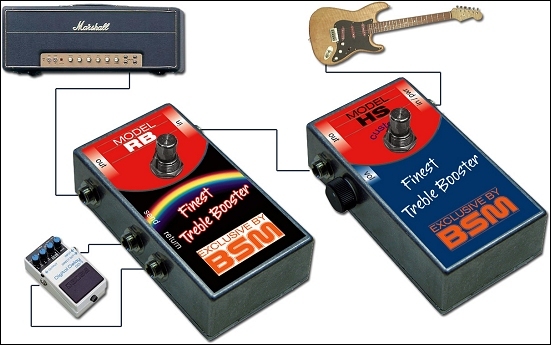 an overdrive) to twice or fourth of it's original output to reach the output level of a treble-booster with the benefit of it's mild and soft characteristics. 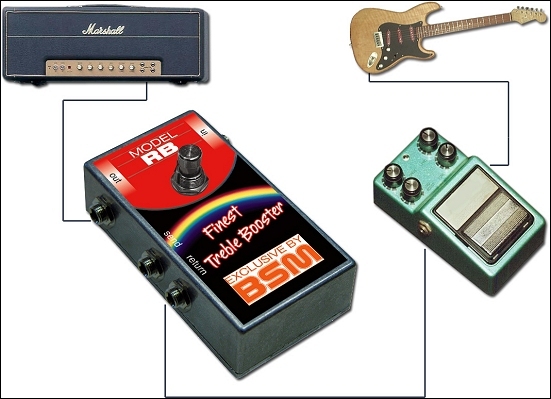 normal operation: This is the way to set up the BSM RB Special Looper for normal operation as described in the text above in order to get this highly desired post 74' Blackmore tone. double-gain operation: Use this wiring to push any connected stompbox (eg. an overdrive or distortion pedal) to twice of it's original output level to kick your amp real hard. quadruple-gain operation: Now let's go crazy, doing an old school-trick some may remember from pushing the old vintage two-channel Fender amps. Try this unusual wiring to push any connected stompbox (eg. an overdrive or distortion pedal) to fourth (!!!) of it's original output level. This will kick your amp to unheard regions of full-tilt heaven. 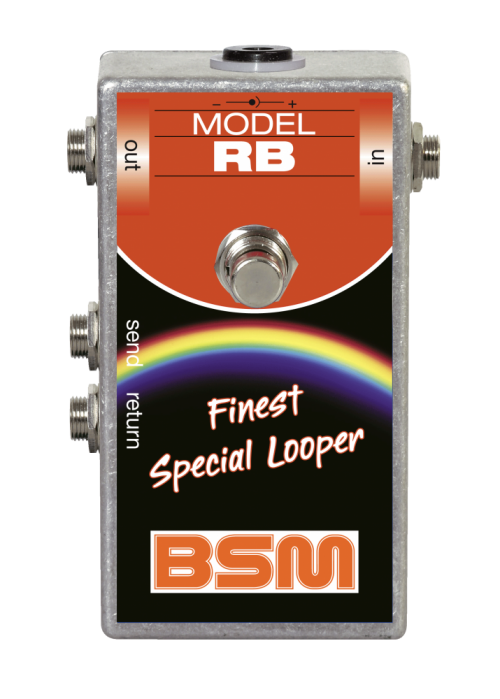 If you have any questions concerning our products, especially the BSM RB Special Looper, our tech-head and mastermind Mr. Bernd C. Meiser would be happy to talk to you. So don't hestitate any longer and send him an email to info@treblebooster.net or use the contact form to contact him.